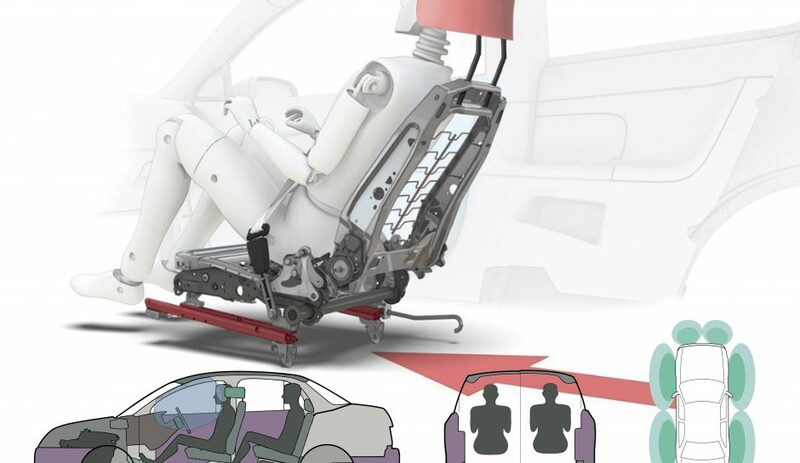 An intelligent vertical airbag to prevent/reduce forward movement of the head/neck in head-on/rear-end collision. An airbag which is integrated into a curved head restraint to prevent the head/neck from tilting in side collision. An intelligent exterior airbag to dissipate/absorb energy intrusion of an impacting car. A car’s exterior (e.g., crumple zone and doors) with an integrated energy absorbent filler (e.g., gel elastomer and non-Newtonian flow). This allows the exterior to dissipate/absorb the kinetic energy, thus decreasing the level of transmitted forces of a collision. A collapsible seat rail which can dissipate/absorb the kinetic energy of collision, thus decreasing the level of transmitted forces of a collision. A lightweight and low cost motorcycle to carry one person in comfort for long distances along poorly maintained roads and across off road terrain.